On Monday we will be posting a bit differently, there will be lots of tutorials, hints and tips from the design team. We do hope you will stop by and leave a comment. What would you like to see on our blog? Today we have this beautiful card made by Kath who designs for Sue and Harvey at Imagination Crafts. Thank you for stopping by Today, enjoy your Weekend! How is your week going? I hope you are managing to get some crafting done! 1. White 7 x 7 square pearlescent base card. 2. Turquoise pearlescent card matted and layered at an angle. 3. 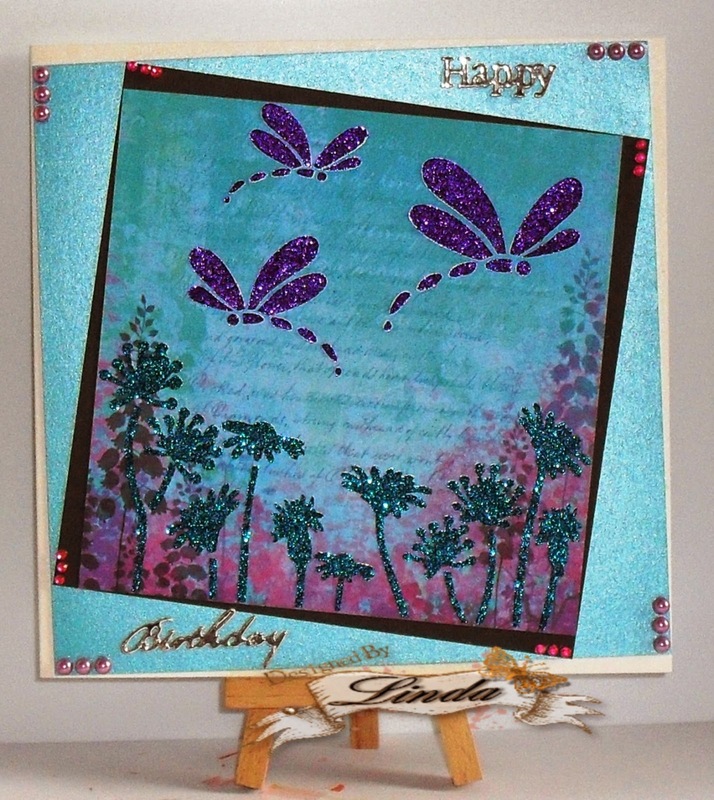 Black card matted and layered onto the turquoise card at an angle. 4. Onto patterned card called Cottage Garden I have stencilled the Wild Flowers with Sparkle Medium Amethyst and Teal, once dry I trimmed the card down and matted and layered onto the black card. 5. To finish off I added pearl pink and pink gems to the four corners and the sentiment. 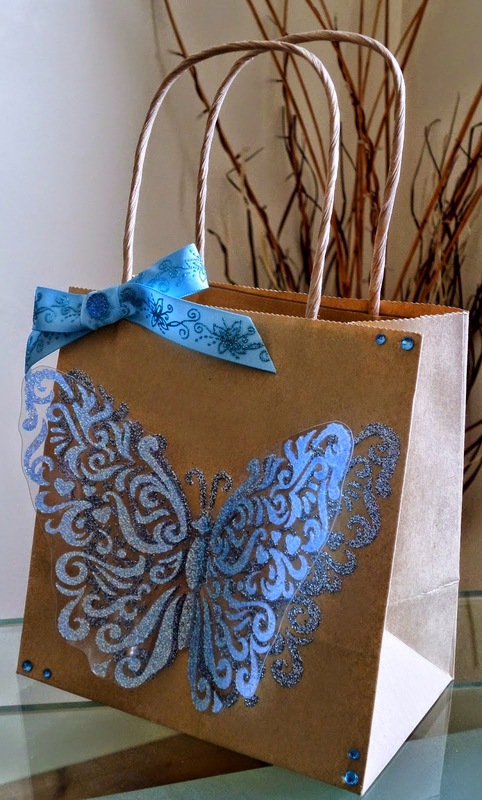 Today we are sharing this beautiful gift bag by Cheremane. Paste the Aqua Sea Sparkle Medium onto acetate and once dry cut out. Using Glue gel attach your acetate butterfly onto your silver butterfly. Finish with ribbon and gems.